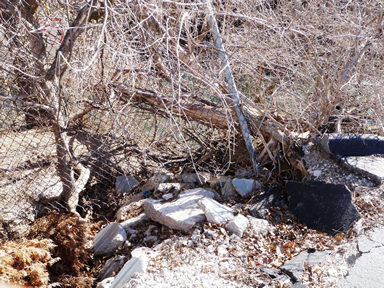 The MSD Coldwater Creek OMCI Contract G Project consisted of 3 separate bank stabilization projects where the District had identified flooding or erosion concerns. Intuition & Logic developed construction plans, specifications and cost estimates for each project site. As part of the design services we also performed an Initial Assessment of each project which included a site assessment, meeting with affected property owners and meeting with the local municipality to determine if the problem still exists, if property owners are willing to grant easements and if any special conditions exist that would affect the design. 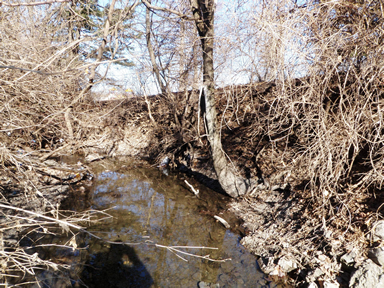 Desmet Industrial Court: Stabilize approximately 450 LF of Coldwater Creek. The failing 20 ft tall bank is undermining two existing pipe outfalls and an existing parking lot along the entire length of the stabilization project. The bank will be stabilized with composite revetment and both outfalls will be removed and new outfalls constructed with stabilized footings. Construction at the site will be monitored by the USACE because the project is downstream of the Mallinckrodt Formerly Utilized Sites Remedial Action Program site and has the potential for hazardous wastes to be present in the soil. 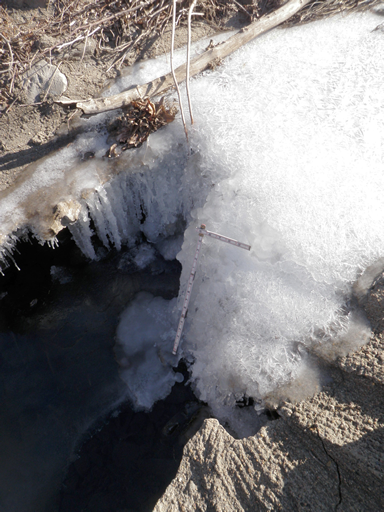 Frostwood Park: Stabilize 60 LF of an unnamed tributary to Coldwater Creek where the existing bank failure is encroaching on the park entrance drive and parking lot. The failing bank will be stabilized with rock armor vegetated with livestakes. 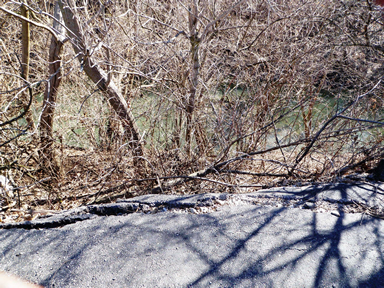 In addition, an 18 inch knickpoint upstream of the bank failure will be stabilized with a boulder grade control step structure. The grade control will halt the incision and protect the upstream reach from further deterioration. Herbert Avenue 4200-4400 Block: Address yard, street and structure flooding along 1,050 ft of open channel drainage swale by widening and deepening the existing swale and replacing deteriorated conveyance below Guthrie Avenue. 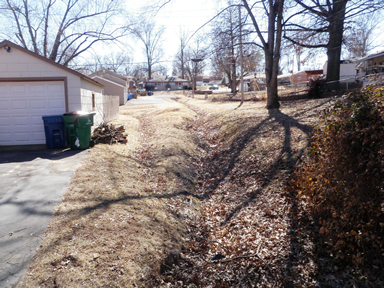 A key concern for the design from the City of Woodson Terrace was ease of maintenance. The current swale is narrow with steep side slopes that has to be cut with weed eaters. The proposed design regrades the side slopes to a mowable configuration.